What does this actually mean to us? It means that we truly believe that our products, especially our wheels, shape the way you experience cycling. It also means that we take our jobs seriously. If you read through our ‘About Us’ page, you will begin to understand that SOUL Bikes is made up of people who love to cycle, not just buy a rim, hub, spokes from a factory and lace them together to sell them at the cheapest price because it’s all the same. Whether it’s a weekend jaunt to the countryside, our daily morning wakeup rides or multi-stage racing, our wheels are geared towards creating a fantastic riding experience for everyone. We quantify this by having one of the stiffest wheels laterally, fastest aerodynamically/ less drag, smoothest hubs, lightest and above all, best value wheelsets on the planet. It’s been 6 years and counting here at SOUL Bikes, that’s how long we have been around, and the number of satisfied customers we have is testament to our work. This propels us to strive always towards creating what cyclists want. We keep all our wheel models pretty much the same, as it allows us to chart our progress through development, as each year the goal is really to improve our experience of cycling. 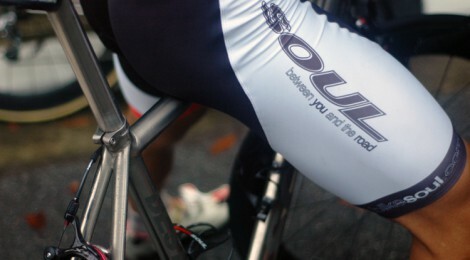 Support us and the brand, and let us continue supporting cyclists worldwide.